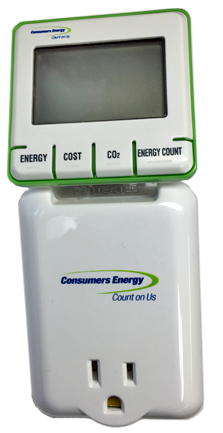 The first thing you can do to save energy at home is to start understanding and measuring how much energy each home appliances uses. Watch and track your electricity usage with energy display and see the impacts or benefits when you change your electricity usage behavior. Practical timer control function allows you to set timer to control appliance on/off at your prefer hours for energy conservation & home automation. Provided by Consumers Energy.